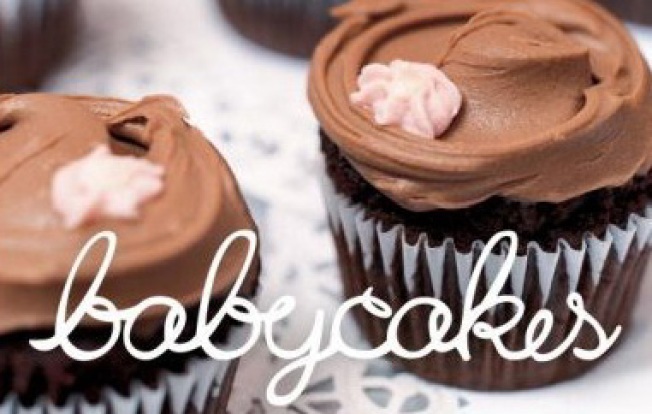 Get the cookbook behind the BabyCakes cupcakes. It says a lot that even people who call bacon a food group are in the tank for BabyCakes NYC, the Broome Street bakery where everything is vegan and made without wheat or sugar. That's because -- unlike with almost every other vegan treat we've ever tasted -- you really can't tell the difference. The bakery was founded (and the recipes created) by a fashion-biz veteran whose bod began to boycott almost all the ingredients in her beloved baked goods. Refusing to surrender to a bland diet (or the wan, cardboardy vegan treats available around town up until then), Erin McKenna set about coming up with concoctions that wouldn't sacrifice flavor in the least. She opened BabyCakes to sell her cakes, cobblers and pies, famously sewed her staffers' retro-inspired uniforms (pink gingham!) and the rest is ooey-gooey history. Now she's collected all her recipes and more into a cookbook so you can replicate her perfect bites at home (or at least try), including the famous chocolate cupcakes that won New York Magazine's coveted Best Cupcake award. BabyCakes: Vegan, Gluten-Free, and (Mostly) Sugar-Free Recipes from New York's Most Talked-About Bakery comes out tomorrow -- pre-order it through the site or stop by the shop. Bonus: Over at cheap-fun-in-NYC site the skint, they're giving away copies of the cookbook signed by McKenna herself. Tasty and free -- our favorite combination.